Happy 48th Anniversary to the Philippine Association of Teachers of Library and Information Science! Two years away to its golden anniversary! PATLS invites you to attend the Midyear National Forum on Library Education and Practice on Saturday, July 14, 2012 at 1:00 – 4:00 p.m. at SM Megatrade Hall Building B, Mandaluyong City. 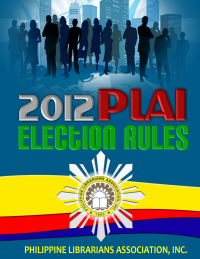 This occasion is in collaboration with ABAP’s 16th Philippine Academic Book Fair on July 10-14, 2012. The theme of the forum is “Internationalization of Librarianship and Information Science : Challenges, Prospects and Promises.” The speaker is Prof. Lourdes T. David of Ateneo de Manila University Library, an expert on international librarianship. Rationale : As the world becomes more interconnected through new technologies, economics, population movements and demographic and cultural changes, it is crucial for LIS schools to prepare LIS students, LIS faculty and Librarians who are able to understand global access and information skills and who will promote transborder and transnational systems of communication among the people of the world. Attend this very timely forum and discover the advantages of being an LIS student, LIS teacher and a librarian and also expose yourself to more or less full spectrum of international librarianship and raise your awareness of why the motto “think globally, act locally” is needed. International Librarianship can be fun too!